A new breed of shampoo, this seriously clever hair cleanser starts life as an aerosol mousse before transforming into a creamy, rich lather as it mixes with water. Deeply purifying, it cleanses hair and scalp without stripping, polishing away dirt, oil and product build-up, with exfoliants to carefully clarify. 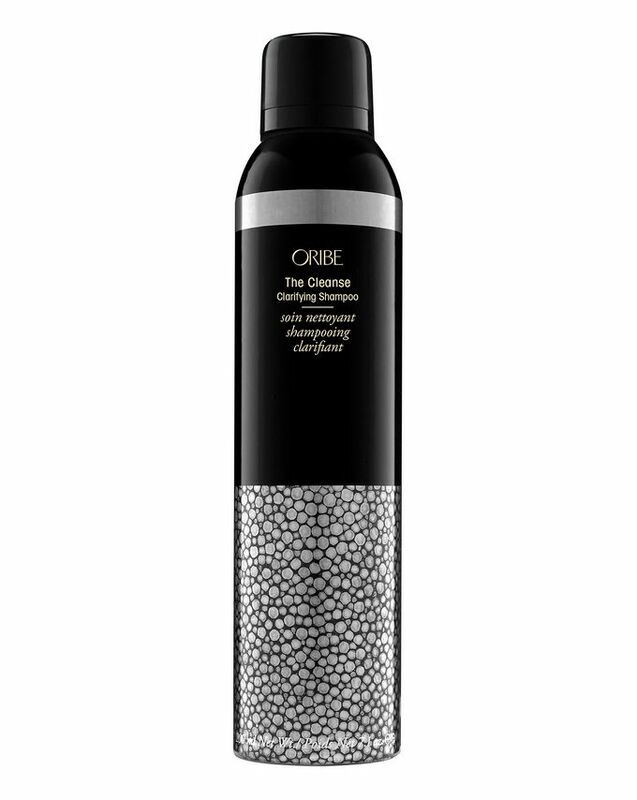 With volcanic ash, sea kelp extract and green tea extract, this is like skin care for your hair – and more than likely to kick-start an addiction to the ultimate luxe, cult hair care brand, Oribe. A unique take on shampoo, Oribe’s The Cleanse Clarifying Shampoo is an aerosol mousse that transforms into a beautifully creamy, rich lather as it mixes with water. Providing a deeply purifying, clarifying cleanse, this detoxifying mousse polishes away dirt, oil and build-up without stripping or damaging hair. Like skin care for your hair, this fabulous formula features volcanic ash to gently exfoliate scalp and strands, sea kelp extract to purify the scalp and clear pores and papaya fruit extract to smooth the hair cuticle, leaving it looking healthy and shiny. Green tea extract strengthens each strand to protect it from breakage or damage, while eucalyptus invigorates the scalp to create a healthy, balanced environment. Like hitting ‘refresh’ on your hair, this will restore your mane to magnificence – plus, the opulent bottle will be a stylish addition to your bathroom shelf. Really good cleansing shampoo especially if you have curly hair. I teach in chlorinated water everyday and this is great at removing chlorine build up. Worth the money as best I’ve found.